A traditional nation set amidst landscapes of rugged intrigue and verdant paradise, Peru conjures images of iconic Inca ruins, neoclassical monuments in ambient plazas, llama herders in colourful hats, and the meandering lushness of the mighty Amazon River. Poetic, arresting and deeply fascinating, the long and layered history of Peru has produced South America’s most famous and mysterious archeological sites, and a delightfully unique culture and cuisine. 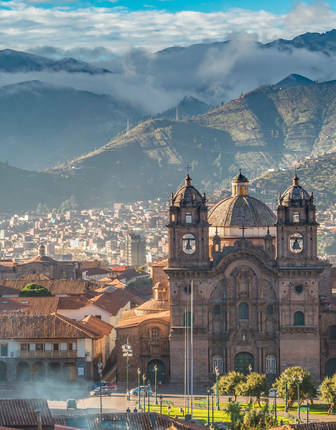 Begin your journey in Cusco, where elegant Spanish facades hang above narrow alleys where the jigsaw-like stone foundations of the old Inca capital epitomise Peru’s historic dimensions. Due north, the pine-covered foothills of the storied Sacred Valley are decorated by terraced citadels and attractive villages with wonderful markets. 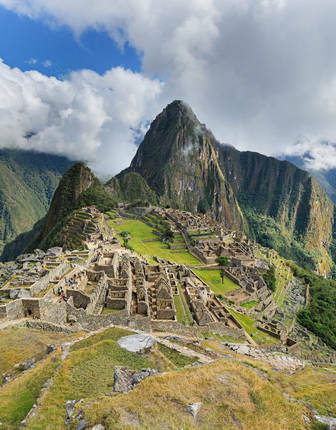 Sumptuous lodges with blissful hillside baths reward those who choose to hike the Inca Trail, while opulent trains will take you along spectacular mountainsides in luxury, arriving at Peru’s spellbindingly mystical Inca enclave: Machu Picchu, the outstandingly beautiful city in the clouds. With lots more to unearth, fly over the perplexing Nazca Lines, preserved in their eccentric glory for 2,000 years, and admire the aesthetically unique pre-Inca Chan Chan ruins from surfers’ paradise Trujillo. Sample Amazonian chocolate and pisco sours in Lima, Peru’s hectic capital where stately museums and Baroque cathedrals jostle with sophisticated galleries and high-rise condos, or stroll under the graceful arches of Arequipa - the ‘White City’ constructed in ornate colonial styles from rock provided by the colossal Misti volcano. Majestic landscapes can be found in jagged Andean heights, Huacachina’s mighty yellow dunes, or in the cavernous Colca Canyon, where nesting condors soar masterfully over serene hills. 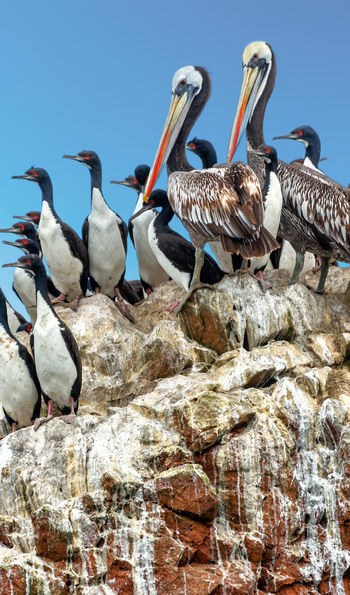 Watch waddling penguins and howling sea lions on the Ballestas Islands, search think rainforest for Peruvian jaguars, or cruise the Amazon in style, watching for pink dolphins and giant river otters from a steamy river-facing jacuzzi. Despite such an exciting array of experiences, you’ll likely cherish most the memories of Peru’s people: invariably generous, with easy smiles and joyful festivals, brass bands and dance troupes, colourful textiles and ornate handicrafts - they’ll make you feel welcome from the moment you begin your Peruvian adventure. Lose yourself in the bustling modern capital Lima, no longer just a stepping stone to the Andes or Amazon, and take a place at the chef’s table at Virgilio Martinez’s world-class restaurant to sample the dishes at the heart of Peru’s gastronomic revolution. Immerse yourself in the history and mystery of the Sacred Valley, taking a horseback ride, mountain biking or trekking to hidden archaeological sites before going white-water rafting on the Urubamba River. Travel to the traditional markets and haggle over vibrant hand-woven textiles in the market place. To get a true impression of how these communities exist, stay with a traditional weaving family in the Sacred Valley or take part in a traditional pachamanca dinner where meat and vegetables are cooked in an earth oven. Arrive at Easter to see the Semana Santa celebrations in Ayacucho or Cusco. 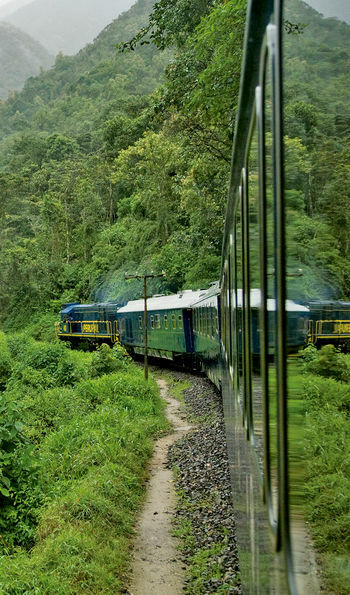 Travel on the luxury Hiram Bingham train to Aguas Calientes from where you will be transported to Machu Picchu for a private tour. 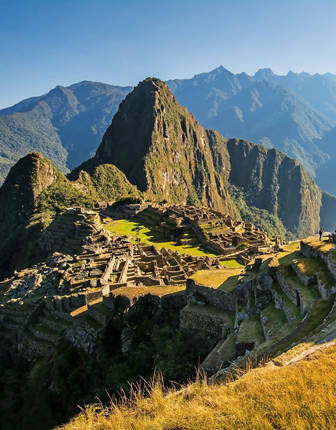 Explore the Incan ruins at the 'lost city' of Machu Picchu with an expert guide having trekked the classic Inca Trail. Alternatively, escape the crowds by tackling a private trek to Machu Picchu’s sister site at Choquequirao. Step back in time by travelling to the islands in Lake Titicaca and spending the night in a homestay. 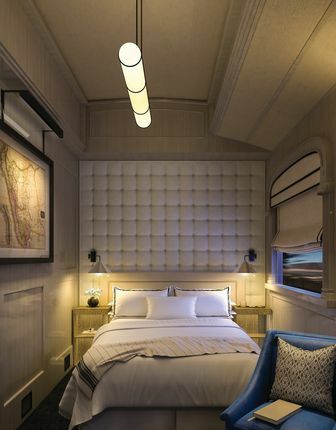 Luxuriate in a great rail journey through the Andes aboard Belmond’s Andean Explorer train. Board a boat to the Ballestas Islands and enjoy a tranquil private tour to see penguins, sea lions and sea birds. Take a private flight across the mysterious Nazca Lines carved into miles of rock or go dune bashing across the empty expanses in a desert buggy. 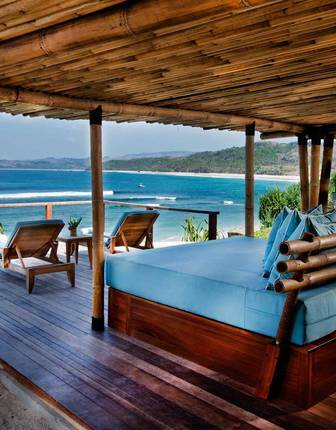 Head north to surf the breaks off the beaches of Mancora before tucking into fresh ceviche. 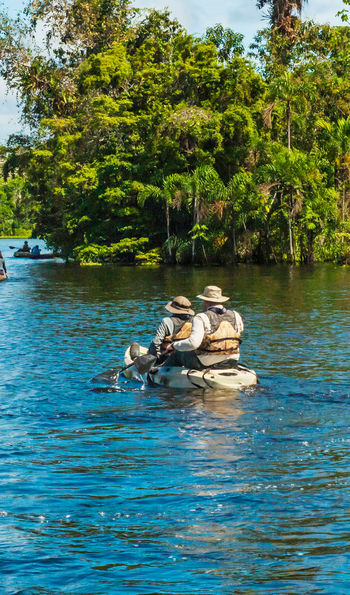 Inland, uncover secret archaeology sites in the cloudforests of Chachapoyas and immerse yourself in the Amazon on a luxury river cruise that searches the tributaries and hidden waterways for wildlife and birds. 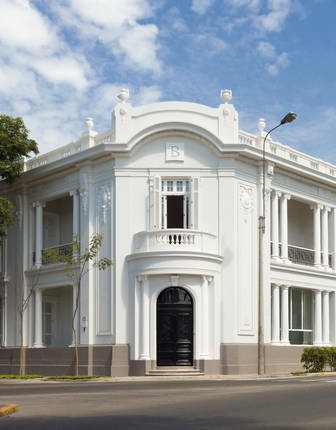 In the capital enjoy the comforts of chic city boutique hotels in Miraflores or Barancas. 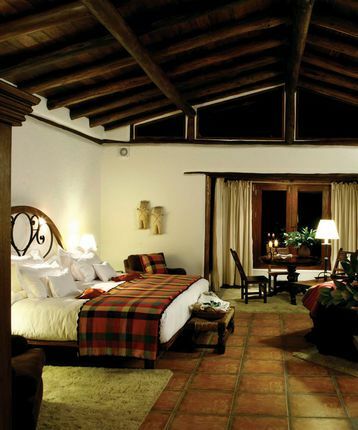 Elsewhere, combine nights in aristocratic colonial palaces such as Palacio Nazarenas and private casonas in Cusco owned by families descended from Conquistadors with mountain lodges or camping on the Inca Trail. 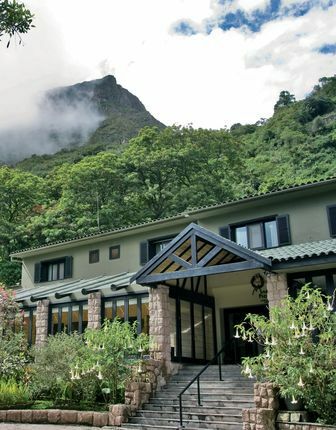 At the foot of Machu Picchu stay in a designer lodge like Inkaterra Machu Picchu Pueblo or enjoy unrivalled positioning close to the iconic site at Belmond Sanctuary Lodge. 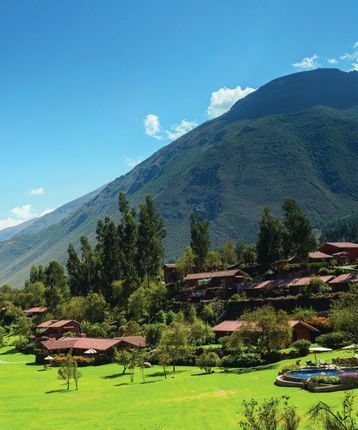 After your exertions relax and recharge at exquisite rural retreats in the Sacred Valley such as Belmond Hotel Rio Sagrado or head north to indulge yourself at a castaway beach retreat. 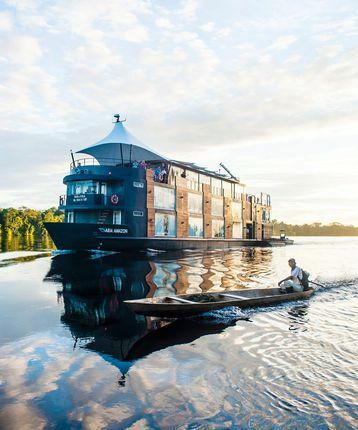 While immersing yourself in the Amazon Basin stay onboard seriously stylish and luxurious expedition boats like the Aria Amazon. 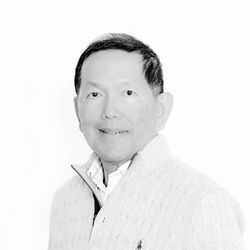 Ask us as well about a luxury berth on board the Belmond Andean Explorer, South America’s only great rail journey, which rolls through the Puna and Andean foothills between several of Peru’s big-ticket sites. As the only hotel that sits alongside Machu Picchu, the spa treatments, indulgent dining and inviting rooms of this luxury lodge enjoy a truly unrivalled position. 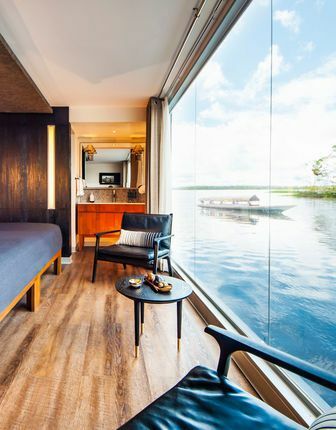 With architect-designed interiors, the ultra-cool Aria Amazon is the most luxurious way to explore the Amazonian rainforests. 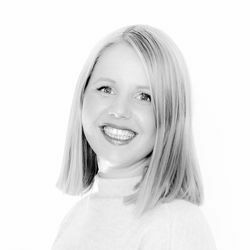 With just 16 suites and a staff to guest ratio approaching one, you’ll be extremely well taken care of in gorgeous surroundings. 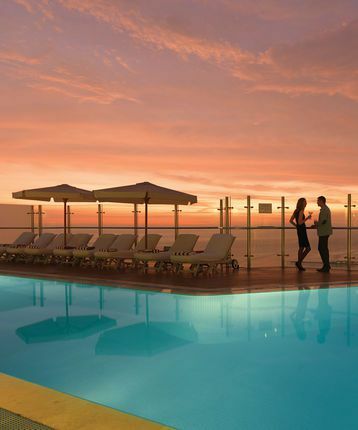 Modern, luxury hotel set in beautiful gardens overlooking the Pacific Ocean in the fashionable Miraflores district. The all-suite accommodation, fabulous restaurants and spa are topped off (literally) by the signature rooftop glass-encased infinity pool. 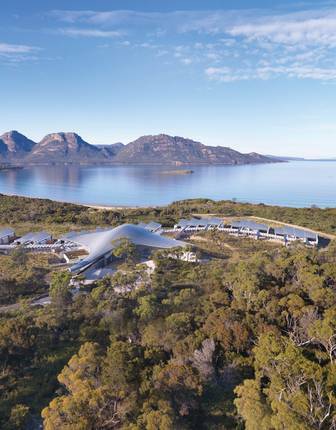 A member of the National Geographic Unique Lodges and the Small Luxury Hotels of the World, this 12 acre luxury resort deep in a forest of clouds is raw beauty at its finest, with 81 beautifully appointed casitas, a glass-walled restaurant and a top-notch spa. Let sweeping Andean scenery, indulgent dining and one of the world’s highest rail routes knit together some of Peru’s most impressive sights. 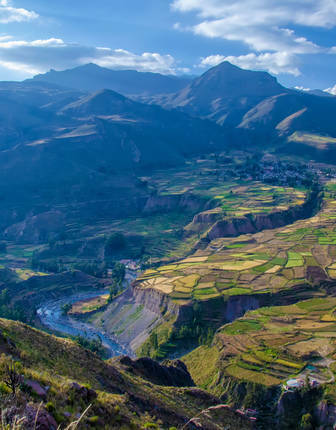 There’s everything from Incan wonders to floating villages. 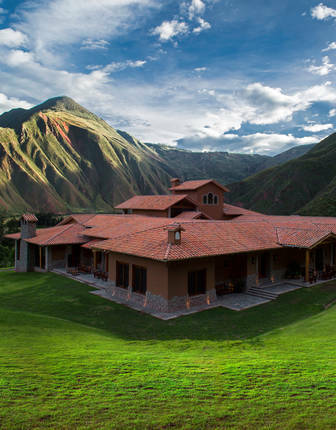 In a beautiful, remote setting among lush fields and soaring mountains, this gracious retreat on the banks of the Urubamba River is built entirely from natural materials and truly epitomises the Peruvian spirit, bearing resemblance to a traditional Andean village. A stylish hideaway within easy walking distance of many of the city’s attractions. 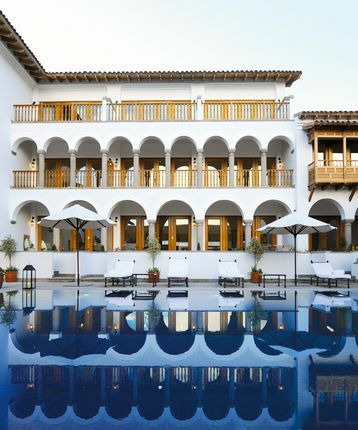 This converted convent and palace is Cusco’s finest luxury hotel, with all-suite accommodation complemented by the only outdoor pool in the city and an intimate bar and restaurant. 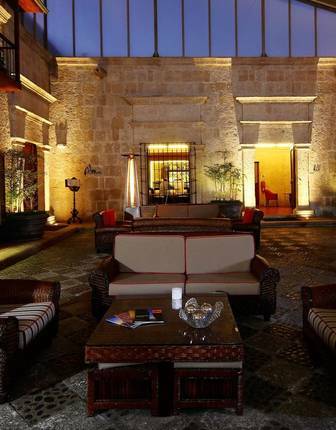 Having hosted the likes of Simón Bolívar, this 16th-century mansion wears its rich history throughout its gorgeous suites, indigenous spa and Andean restaurant. You'll be welcomed to this mountain-ringed property by a pisco-sour cocktail, spectacular Andean views and meals sourced from the lodge's own organic farm. 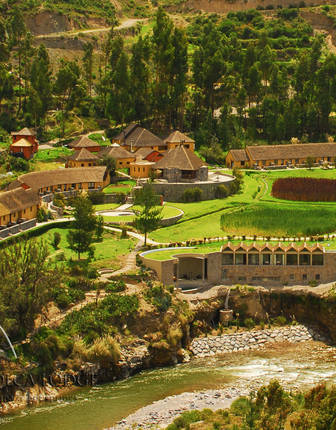 This thatched-roof favourite offers all the traditional delights of the Colca Canyon, from adobe-clad rooms and Andean dining to no fewer than four geothermal hot pools. 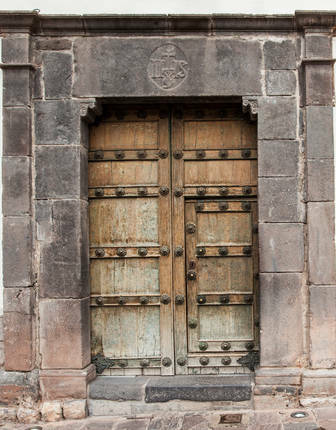 Built of volcanic rock, this 18th-century jewel evokes all the historic charm of Arequipa, while mixing in a curated selection of contemporary amenities. This Relais & Châteaux jewel offers all the colonial grandeur befitting its privileged setting. 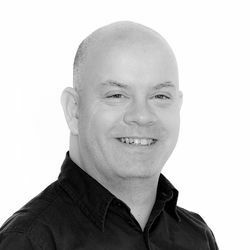 Expect afternoon teas, a fine-dining restaurant and dark-wood rooms. 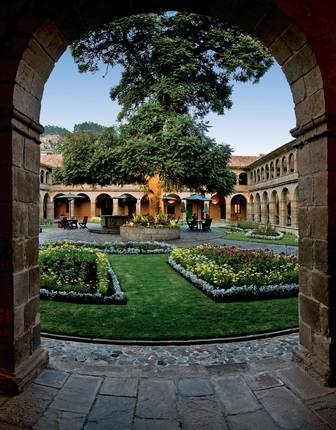 Ideally located beside Cusco’s central square, this former monastery-turned-luxury-hotel dates back to the late 16th century. 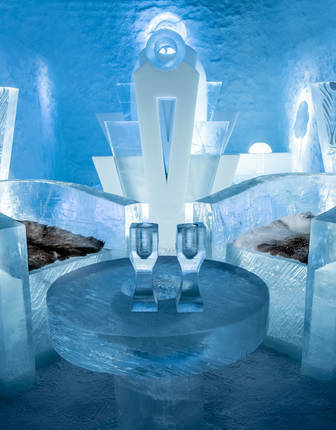 Today, it's host to a curated art collection, two superb restaurants and the city's finest rooms and suites. The Peruvian winter (May – September), just after the rainy season, is the best time of year to travel, especially if you are planning to visit the Sacred Valley, stay in Cusco area or trek the Inca Trail to Machu Picchu. Skies are bright and blue although nights can get chilly. By its nature, in the Amazon you could encounter wet weather at any time although downpours tend to be short and sharp. Even during the wettest months (November to March) there are always breaks between showers and it's still possible to see wildlife.